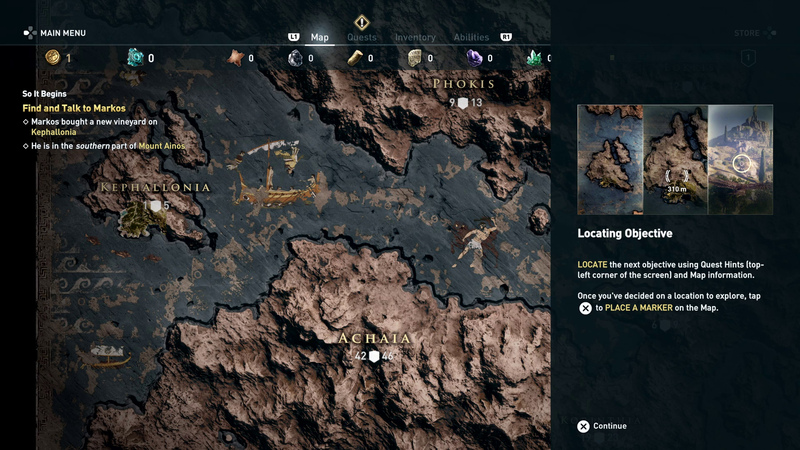 The Assassin’s Creed games are known to have big open worlds, and to help players from getting overwhelmed, quest markers are present to help guide them along with the minimap. Well, Ubisoft now wants you to truly appreciate Ancient Greece in Assassin’s Creed Odyssey by offering Exploration Mode. 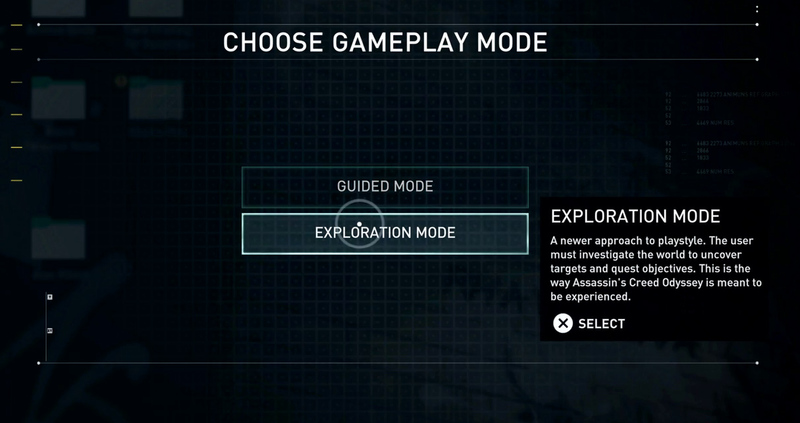 During the beginning of the game, you’ll have two options, Guided Mode and Exploration Mode. It’s actually recommended by the team that you choose the latter, which I think is the best way to play an Assassin’s Creed game. One of the first missions was for Alexios to find and talk to Markos, a character who has helped him on the island of Kephallonia. (As you can see in the image above, you’ll get to explore other parts of Greece via your ship.) It took some time for me to figure out where the missions are since I completely forgot about Exploration Mode as I did the introductory missions. The game does give hints as to where we can find Markos, and it explained that he has a new vineyard on the island along with him being in the southern part of Mount Ainos. Since we’re already in Kephallonia, the next step is to find out where Mount Ainos is. You can zoom in on the map to discover it, and then you can place a marker on where you think it might be. Once you reach the area, you’ll get a notification that you’re near, and this is where your eagle can help you pinpoint his location. 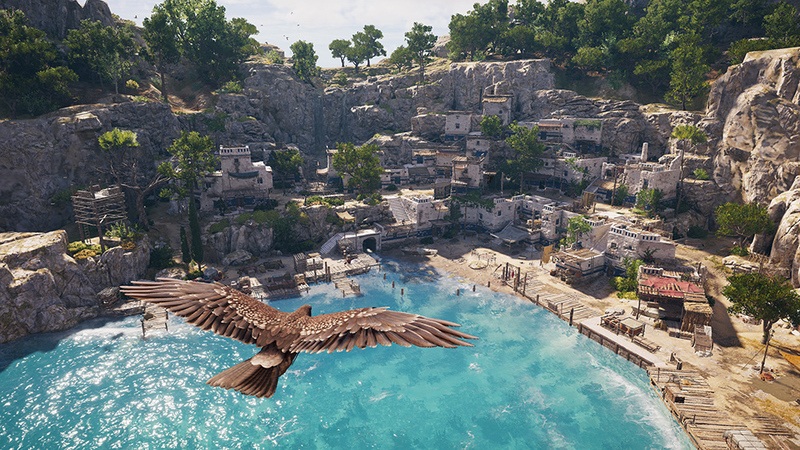 Once it’s flying above the air, look around it will help you narrow Markos’ location thanks to a yellow circle reticule (similar to Assassin’s Creed Origins). Pretty much this is how you will be discovering other characters and missions in the game. To sum it all up, first you’ll need to find the area, then explore it and use your eagle to pinpoint its location. Remember the saying, “Stop And Smell The Roses”? 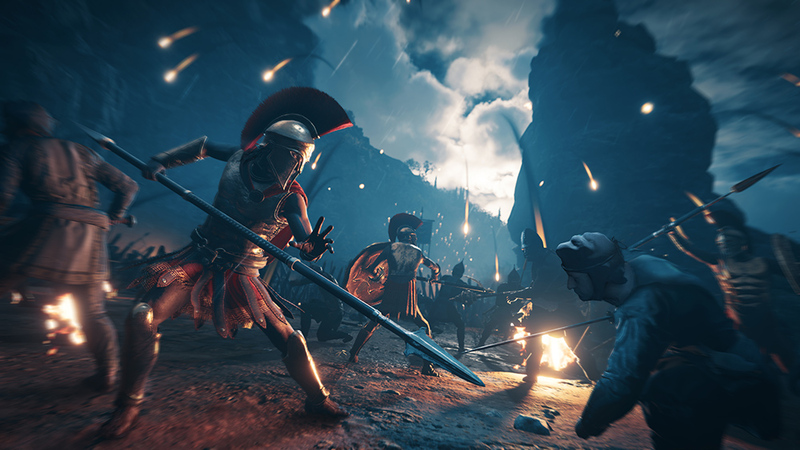 Well, that’s pretty much what you’ll get with Assassin’s Creed Odyssey’s Exploration Mode. With quests not being added automatically, players will get to experience the beautiful and detailed world of Ancient Greece. Assassin’s Creed Odyssey will be available on October 5 for the PS4, Xbox One and OC. 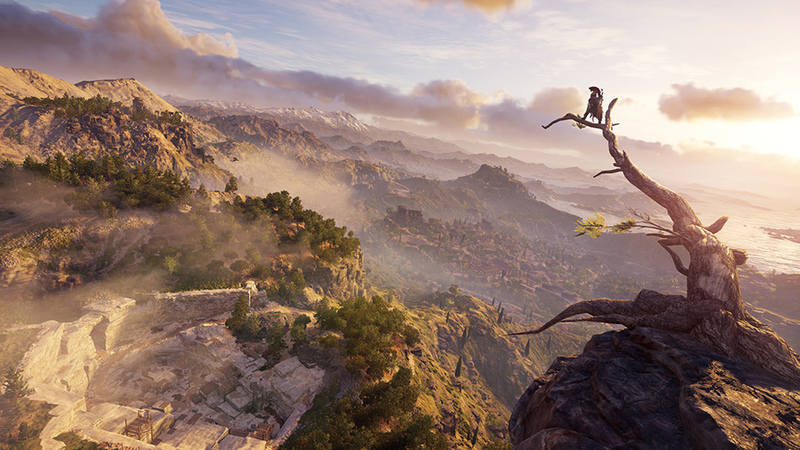 The post Assassin’s Creed Odyssey’s Exploration Mode allows you to breathe and enjoy the sights appeared first on Nerd Reactor.